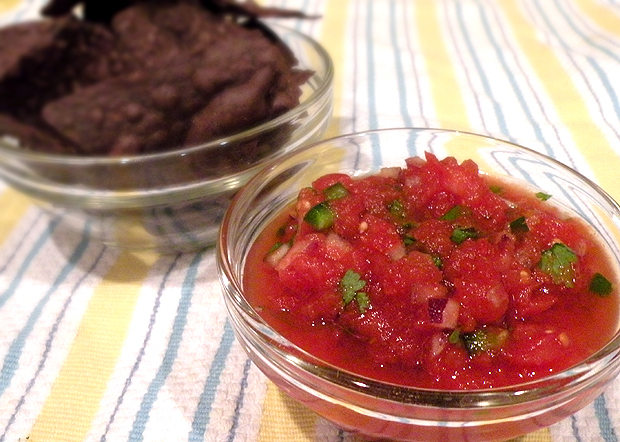 There doesn’t have to be a big sporting event to enjoy fresh and delicious tomato salsa. I have been testing different brands to find the perfect salsa and I am always left with a feeling of …well I like the texture but it is a bit bland or it is tasty but didn’t care for the texture. When getting ready to watch the Ravens playoff game against the Broncos, I decided to concoct my own batch using all the ingredients thought would make a good salsa. The result was delicious and exactly the type of salsa I have been searching for…a fresh tomato taste with a good chunky texture and just enough spice to tingle the senses. 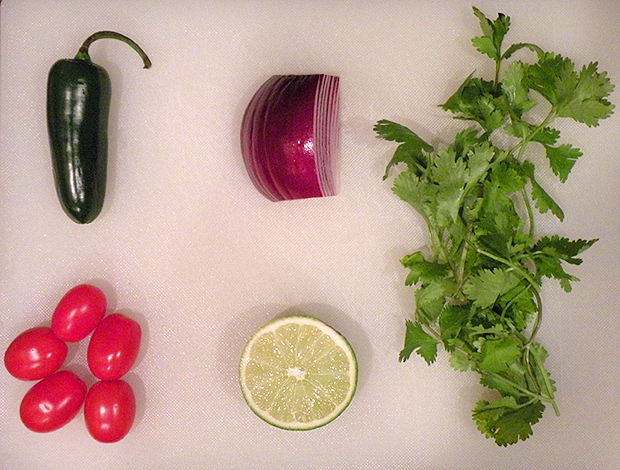 Here is my recipe for my fresh homemade salsa. Place the diced tomatoes and grape tomatoes in the food processor and pulse until it is the desired consistency. I like my salsa chunky so I only ran it for a few seconds. 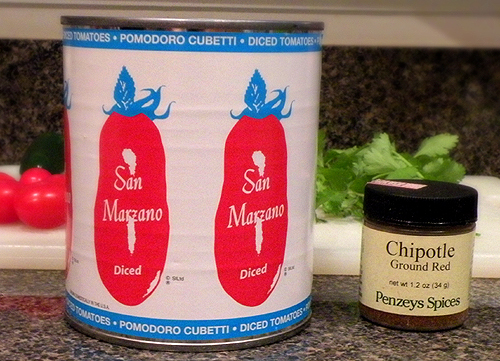 Pour the tomatoes in to a medium sized bowl and add onions and jalapeno pepper. Using a garlic press, squeeze the garlic into the salsa and the juice of ½ lime. Stir to combine. Add the sugar, salt, ground chipotle and cilantro. You can eat it right away or put in the refrigerator for a few hours the meld the flavors. Serve with your favorite chips. Enjoy! This entry was posted in Food, Uncategorized and tagged chips and dip, chips and salsa, cilantro, finger food, Gina Tepper, ground chipotle peppers, homemade salsa, jalapeno, lime juice, party food, restaurant style salsa, Salsa, tomato salsa. Bookmark the permalink.